It all began back in the 1940s after the Second World War. Noceda Bakery was founded by Paterno Noceda. He set up a small bakery within his house in Mendez, Cavite and began baking delicious bread. 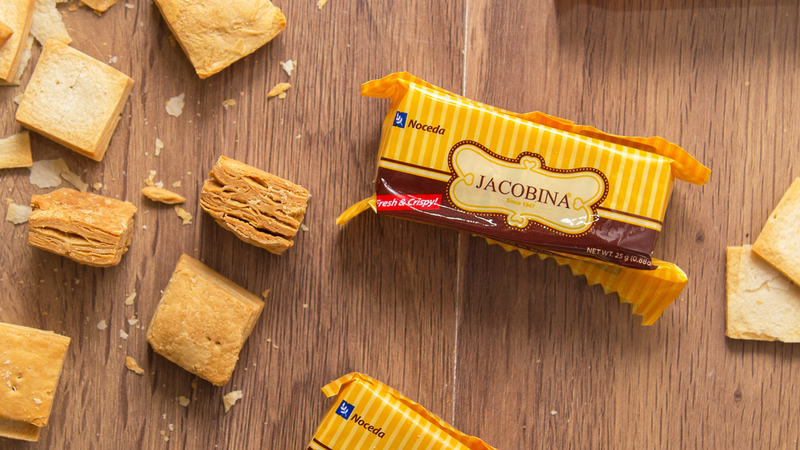 In 1947, he discovered the square biscuits and named it JACOBINA®. In 1955, the name JACOBINA® was registered as a trademark at the Philippine Patent Office (now the Intellectual Property Office of the Philippines). Since then, it has become the best selling biscuit of Noceda Bakery. In 1975, La Noceda Food Products, Inc. was born and its sole function was to produce the JACOBINA® square biscuits. As of today, JACOBINA® square biscuits are being exported and available at selected Filipino stores in the U.S. and other Asian countries. Noceda Bakery branched out in Tagaytay City in 1980 and established an excellent reputation in baking delicious bread, making the name "Noceda" a brand name on its own. Looking into the future, there's one thing history won't ever change: our mission - Bake phenomenal bread & biscuits. LA NOCEDA FOOD PRODUCTS, INC.
© Copyright 2017 La Noceda Food Products Inc. All Rights Reserved.